The HOBBS AND SHAW Trailer Is Here To Piss Off Vin Diesel | Birth.Movies.Death. That delivers about what you’d expect. Funny jokes, he-man posturing, and tons of action. So much, it almost just turns into noise by the end of this flexed bicep of a trailer. But hey, it does look fun. 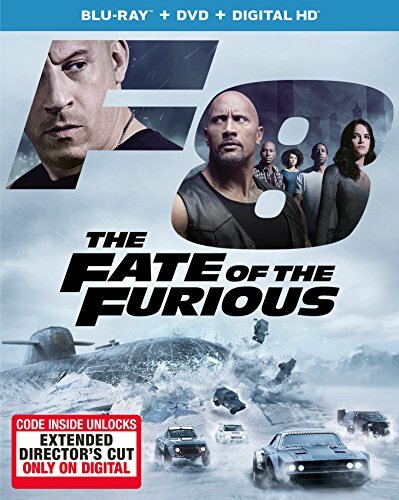 I don’t think the F&F series is ever going to accurately make Shaw pay for Han’s death (truth be told, I’ll never be 100% sure Han is even dead), but if they’re going to go all in on conveniently forgetting that, I’m glad they’re at least taking full advantage of Statham’s part in this crew. Except, is he even part of the crew now? Are Hobbs and Shaw completely divorced from the main F&F story thanks to this spinoff? The Rock recently stated he was definitely not going to appear in F&F 9, and I have to wonder if pairing these two on a separate adventure is going to hurt the Vin Diesel entries in the series. Oh well. If it does, it does. Eight movies of magic are nothing to throw shade at. And as long as Roman is in there being a spaz, I’ll probably ride or die with this series forever. Even if it does have legit silly supervillains now.